It’s that time of year again. Football season. (I wanted to say Fall, but it’s in the mid 80’s around here and I’m still wearing shorts.) 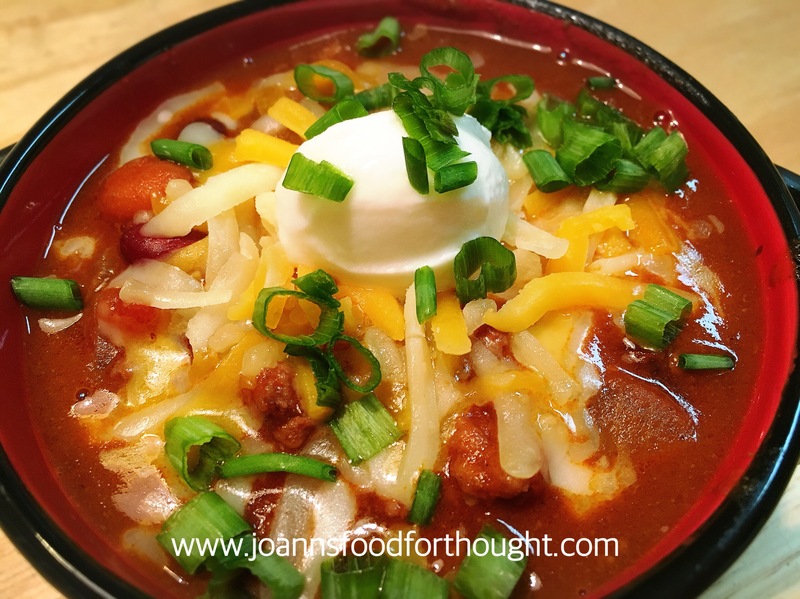 What better way to feed a hungry crowd gathered at your house than with a big pot of flavorful chili. You can omit the ground beef and go meatless, and you won’t miss a thing. Added bonus, only one pot to clean. Cook ground beef over medium high heat. When browned, add onions, celery and corn. Stir and cook for an additional 3 minutes until onions have softened. Add remaining ingredients and stir to mix well. 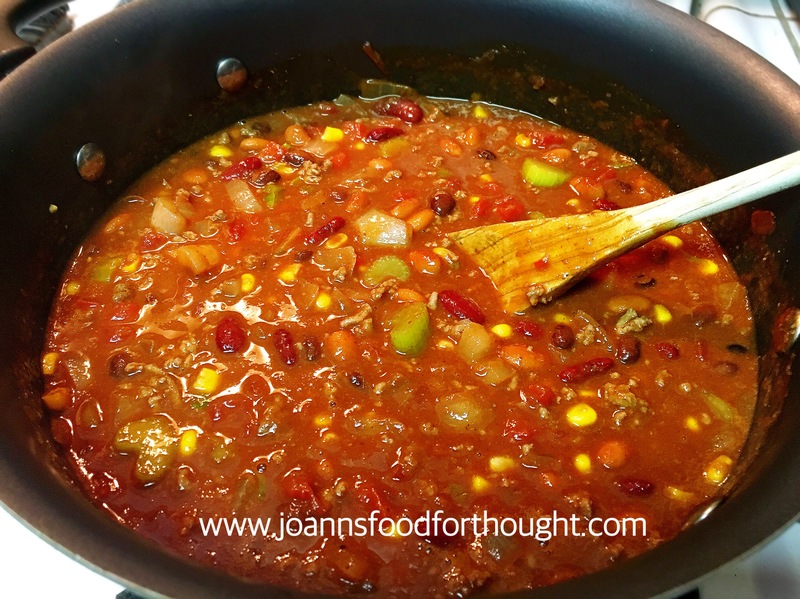 When chili comes to a boil, lower heat to low. Let simmer for an hour. Top with sour cream, shredded cheese and diced green onion and serve.